A shampoo specially designed to not wash out spot-on flea treatments, Farnam Bio Guard Shampoo is safe to use on both cats and dogs. 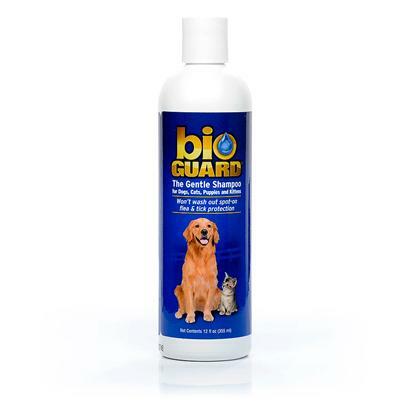 Its gentle, pH balanced formula is strong enough to clean your pet’s fur without compromising the integrity of any flea and/or tick medication. Rated 5 out of 5 by 19 reviewers. Groomer's Favorite and ours too. BiO gurad is the best!